Last Tuesday, Raylan graduated from his Story Time Program at our local library. 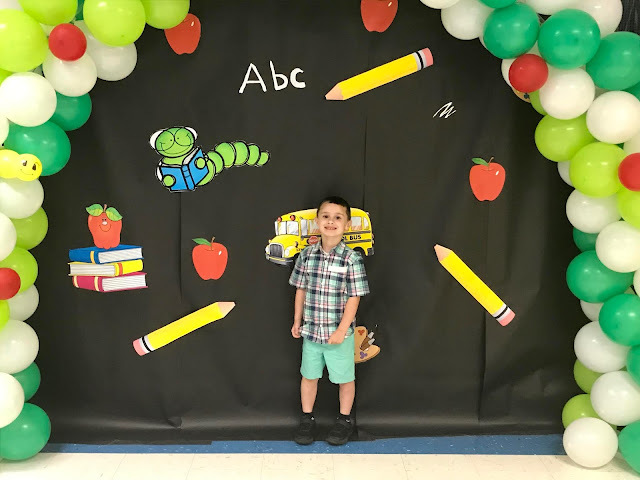 This makes the second year that he has attended. Each year that a child attends, they hold a special graduation ceremony for the children. Story Time is such a great program and has been so good for Raylan. He has learned so much and has made many new friends from the program. 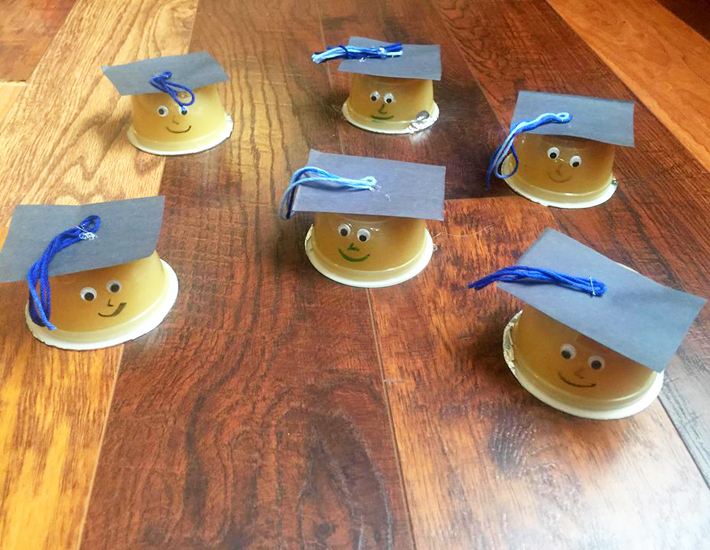 I knew I wanted to make a snack to represent the graduation, but needed it to be something easy with as hectic as things have been lately. 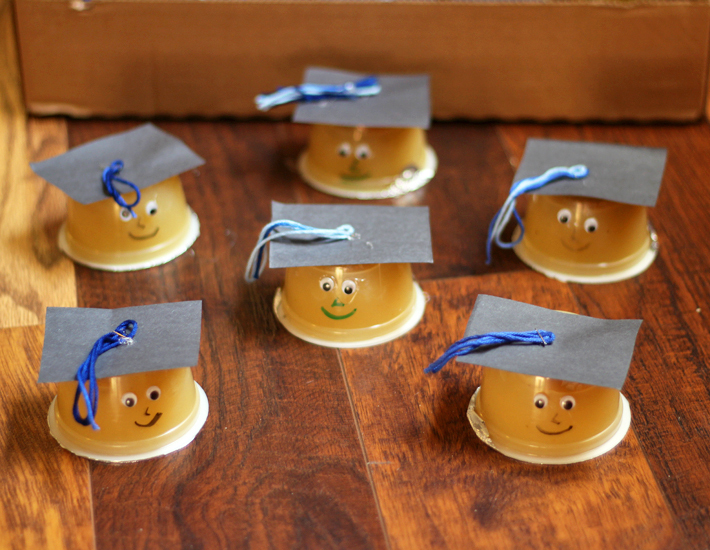 So, I made these adorable Graduation Snack Cups that were a big hit with all of the kids. I made approximately 21 Snack cups, be sure to make plenty enough to go around. First, turn the cups upside down so that the lid is facing down. With each applesauce cup, I hot glued plastic googly eyes on the cup. You can also use glue sticks or regular white glue for this. I found that hot glue was the easiest and quickest way for me. If you don't have googly eyes, you can always draw eyes on the cup. I drew on the nose and mouth. For the hat, I cut out square pieces of construction paper and glued on one square hat for each cup of applesauce. The tassel was probably the hardest task of the whole project. I cut off just enough yarn and doubled it up to make it look like a tassel. I stapled a little section together at the top so that the rest would dangle like a tassel should. You don't have to staple it together, but I feel like it makes it look better when you do. I hot glued the tassel about half way on top of the construction paper hat. 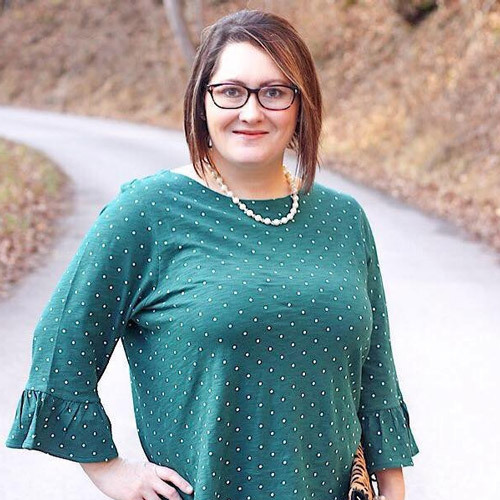 I left just enough room so that the tassel would dangle over the side. 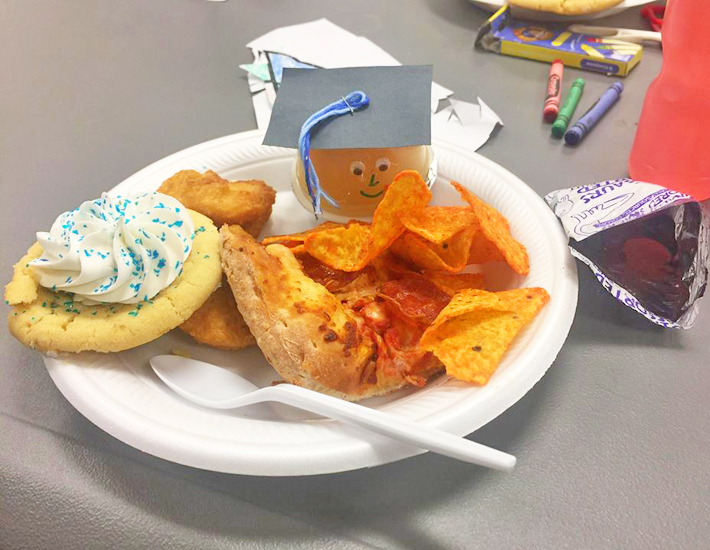 The kids had an adorable graduation ceremony and had delicious snacks afterwards. These snack cups are super easy to make and healthy too. You can also use cups of fruit, jello or pudding. There are just so many possibilities. 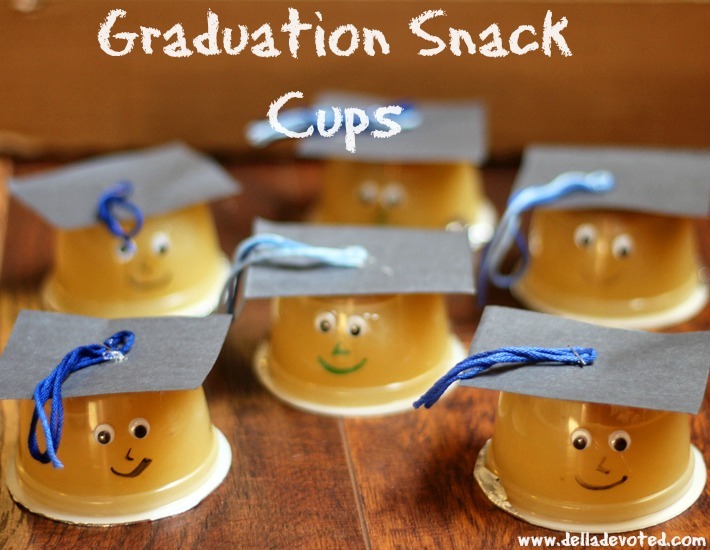 So if you're looking for a preschool or kindergarten graduation snack idea to make, these represent the occasion perfectly. They look like the little tiny graduates that they are.